Leanne Ellul shares with a us a few thoughts about the chosen films for the project Poetry on Film 2017. Coffee. Everything starts with coffee. And poems, papers, films, discussions, proposals, marks and results. This year there is also a microwave, an LP, a teacup stain, a washing machine and woman doing her hair. 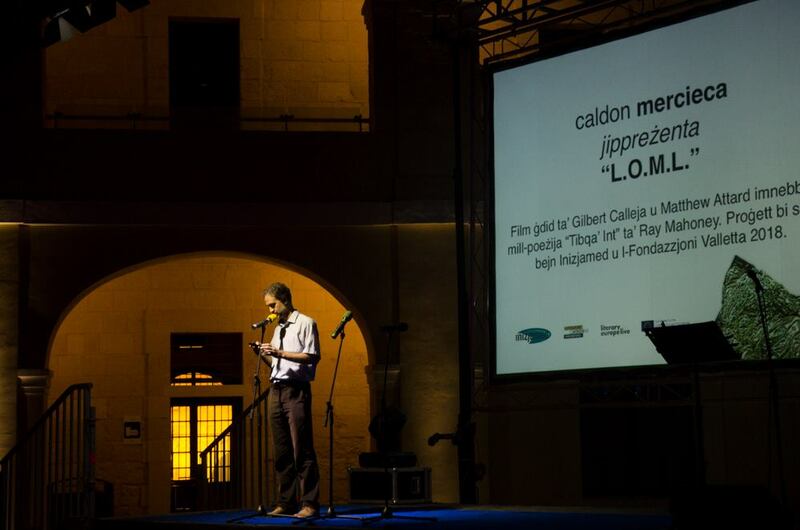 The fourth edition of Poetry on Film has already gained momentum and has lived in Valletta, Sliema and Rabat. On the 18th of February we had a seminar organised at Teatru Salesjan, and a month later we met the applicants at Studio Solipsis. The poems by Maria Grech Ganado and Victor Fenech, chosen by the project’s literary consultant, offered a challenge to those who wished to produce a film about them. There were nine applications in all, and after we scanned them (and sipped a little more coffee), we discussed them, and came up with a final decision. This year, the two poetry films will be produced by Trevor Borg, and Lyanne Mifsud and Nicky Aquilina. Trevor Borg will be working on Fuq Għoljiet Dingli by Victor Fenech, whilst Lyanne Mifsud and Nicky Aquilina will work on Relazzjoni by Maria Grech Ganado. The two films put the poems at the heart of the film. Trevor Borg proposes that the poem will become film and each verse is set to accumulate time and distance. The poet himself will feature in the film, walking, in Dingli. And with every pace he makes, more poetry will unravel. Lyanne Mifsud and Nicky Aquilina will work on a visual interpretation of Ganado’s poem by capturing everyday life, the tone and temperament that lead to decadence. Having a circle as the dominant shape in the film, the films promises a visual experience that will take us back to the starting point. For the first time ever. These two films will be premiered during the Malta Mediterranean Literature Festival at Fort St Elmo between the 24th and 26th of August. Poetry on Film is a project by the Valletta 2018 Foundation in collaboration with Inizjamed.